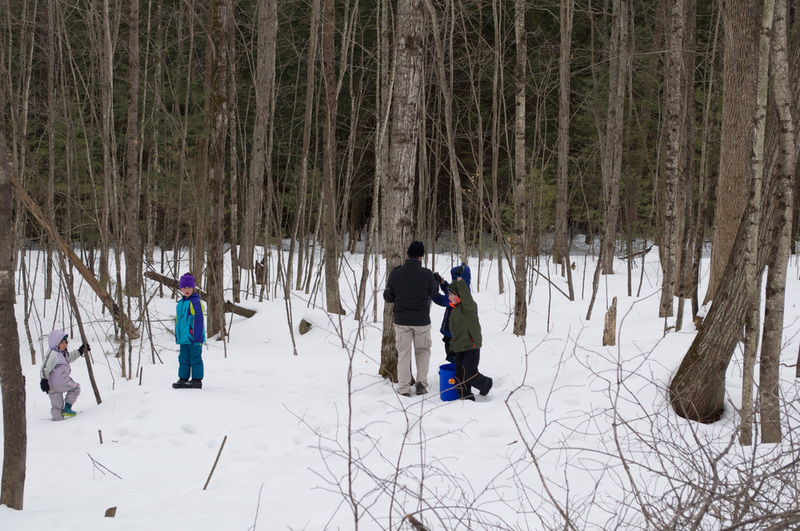 In February and March, we welcome families to celebrate winter and the promise of spring by playing outdoors and if the conditions are right for the sap to flow in the sugar maple trees, we will be making maple syrup. Generally, if the sap is flowing the snow is melting and vice versa. Whether the weather brings us sap or snow we will have a great time together! Scroll down to to see photos and read more about our winter/sugaring family weekends at Glen Brook. Cost (includes lodging, meals & program): Adults (age 14 & up) $250, Children (ages 2 - 13) $150, There is no charge for infants under 2. Maximum charge of $800 per nuclear family. 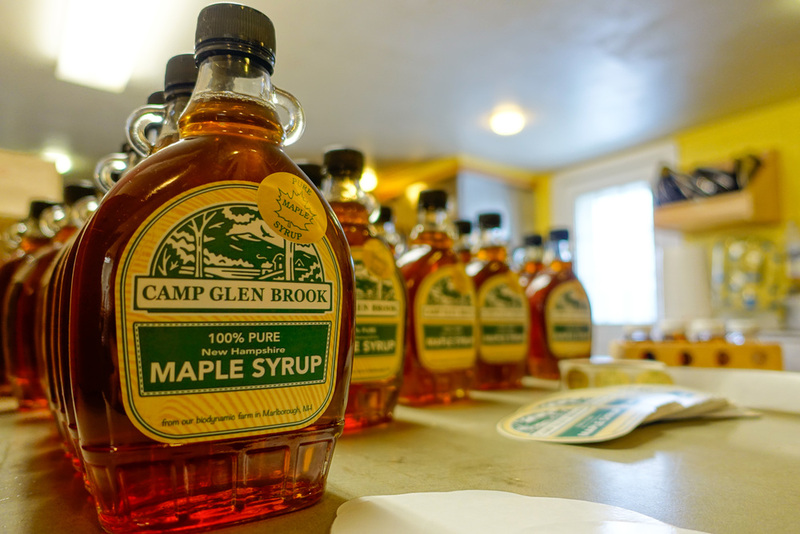 Glen Brook maple syrup is a staple on the Glen Brook breakfast table. Our sugarbush is a mixture of young and mature maples. We tap our trees with a combination of traditional galvanized steel pails and rubber lines so that participants in our surgaring program get to experience a traditional operation but also one that utilizes modern methods. Sap is gathered by hand and taken to the sugarhouse where it is boiled down in Glen Brook's wood-fired evaporator. Glen Brook runs several sugaring programs, including an intensive three- to five-day school program in which students earn a "sugaring apprentice" certification and a weekend program for youth and families. All programs allow children and adults to participate in sugaring at every level, from tapping trees and gathering sap to cutting wood, feeding the evaporator, and drawing syrup. And every visiting group earns the ultimate joy of sugaring: fresh maple syrup over hot pancakes. Please note, that while Mid-February to Late-March are often good times for the sap to flow, it only flows when the weather is right. If we don't have any sap to make syrup, we can still promise good food, great activities, and a wonderful weekend at Glen Brook. We recommend you use the Winter Camp Packing List as a guide for what to bring!